AppAdvice is a great app that helps iPhone, iPod Touch, and iPad owners keep up to date on new apps, special offers for discounted and free apps, and news about iDevices. The app may be purchased for $1.99 from the iTunes App Store. The AroundMe app is a mobile app that helps you find places near to where you are, such as gas stations, ATM machines, restaurants, and retail stores. For every listing, you can choose to see its location on a map, view directions, add the location to your contact list, and to email information to a friend. The app is FREE and is optimized for use on iPhone devices. The app may be downloaded from the iTunes App Store for use on iPhone and related devices, and from Google Play for use on Android devices. The Amazon Kindle app is optimized for the iPhone, iPod Touch, iPad, and Blackberry smartphones to provide you with the ability to read Kindle books on your device. The app is FREE, although of course the Kindle books are not. The app may be downloaded from the iTunes App Store and, for Blackberry devices, from Amazon.com. 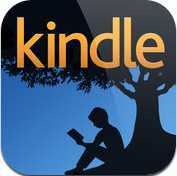 Update: the Amazon Kindle app is now also available for free for owners of Android devices. The app may be downloaded from Google Play. 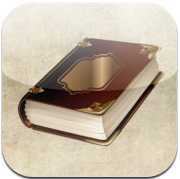 The BookBargain app is a great app that helps you locate the best prices on books sold on the Internet. The app is FREE and is available for download from the iTunes App Store. 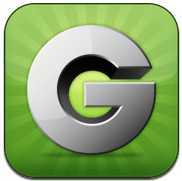 The app is compatible with the iPhone, iPad, and iPod Touch. 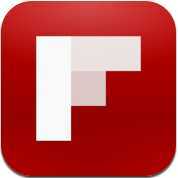 The Flipboard app is described as the "world's first social magazine." The app integrates with your social media accounts and allows you to flip through photos, videos, and links shared by friends in your networks as if in a digital magazine. The app is FREE and currently is optimized for use only on the iPad. The app may be downloaded from the iTunes App Store. The Groupon mobile app provides you with a great deal each day on fun things to do in cities throughout the United States. Upon launch, the app provides you with a deal's barcode screen, which can be redeemed by showing the screen to the relevant merchant associated with the deal. The app is FREE and may be downloaded from the iTunes App Store for use on the iPhone, iPod Touch, and iPad, or from Google Play for use on Android devices. 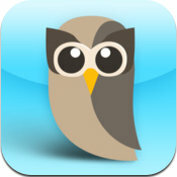 HootSuite is an excellent app that allows you to manage multiple social network accounts from a single dashboard. The app allows you to upload photos, view usage statistics, and post news across multiple accounts at once. HootSuite is a great reputation monitoring tool as well. The app is FREE and may be downloaded from the iTunes App Store for use on iDevices and from Google Play or HootSuite website for Droid devices. 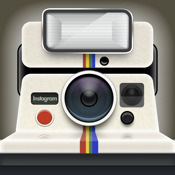 Instagram is an app that lets you apply a number of photo-enhancing filters to images taken on your iPhone to make them look like classic Polaroid pictures. The app also includes wonderful social features that let you share your images with others. The app is FREE and may be downloaded from the iTunes App Store and Google Play. Registration with Instagram is required to use the app. The MegaReader app provides access to more than 1.8 million FREE e-books, including popular fiction works that are in the public domain. 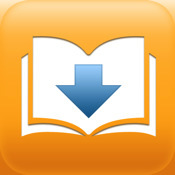 The app draws books from Freebooks, Internet Archive, Project Gutenberg, Baen Books, Smashwords, and eBook Search. Once the e-books are downloaded to your device, you can enjoy them anywhere, without the need for an internet connection. The app also lets you customize your reading experience with a number of color, font size, line spacing, and justification settings. The app is available for $1.99 for iPhone, iPod Touch, and iPad devices, and may be downloaded from the iTunes App Store. 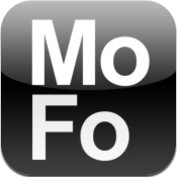 MoFo2Go is a FREE app created by the law firm Morrison & Forester. According to the firm's spokeswoman, Morrison & Forester is the first U.S. law firm to have its own multifuncitonal mobile app. MoFo2Go has four functions, three of which are “people,” “news” and “locations.” The fourth is “play,” and relates to what is said to be a difficult maze-like game. 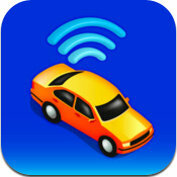 The app may be downloaded from the iTunes App Store and is compatible with the iPhone, iPad, and iPod Touch. Folks who try the game, let us know what you think in the comments below! 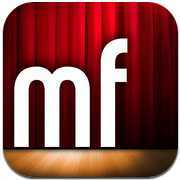 Moviefone is a FREE app that helps you find movie and theater listings. The app includes trailers, fan ratings, and reviews, and more. 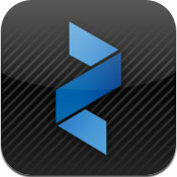 The app is available for download in the iTunes App Store, Blackberry App World, and Google Play. My TSA is a FREE mobile app created by the Transportation Security Administration (TSA) that aims to provide passengers with answers to frequently asked questions regarding flight regulations. The app allows you to determine whether an item is allowed in your carry-on or checked baggage, provides information on ID requirements and liquid rules, provides tips for packing and dressing to speed through security, and real-time operating status information for U.S. airports from the Federal Aviation Administration. 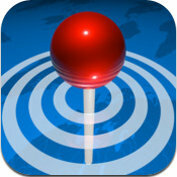 The app is currently optimized for use on iPhone, iPod Touch, and iPad devices and may be downloaded from USA.gov. Users of other devices may access the app by pointing their browser to the following site: http://www.tsa.gov/mobile. 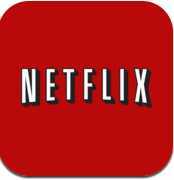 The Netflix mobile app allows Netflix subscribers to instantly watch television shows and movies streaming from Netflix. The app is part of subscribers' unlimited access to streaming content, and thus is FREE. The app may be downloaded from the iTunes App Store for iOS devices and from Google Play for Droid devices. 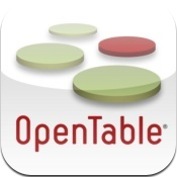 With the OpenTable app, you can make free restaurant reservations at more than 13,000 restaurants in the United States, Canada, and the United Kingdom. App users can earn Dining Rewards Points redeemable for "Dining Cheques" good at any OpenTable restaurant as well. The app is FREE and may be downloaded from the iTunes App Store, Blackberry App World, and Google Play. Many people are already familiar with the web-based version of Pandora Radio, which lets you stream music created in your own personalized radio lists. Now it's available as a FREE mobile app on most devices. 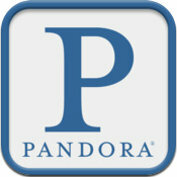 The Pandora app may be downloaded for the iPhone, iPod Touch, and iPad from the iTunes App Store, for Blackberry smartphones from the Blackberry App World, and for Droid devices from Google Play. 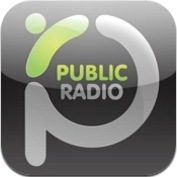 The Public Radio Player app lets you listen to broadcasts of more than 500 public radio streams from across the country and 1,000 public radio shows upon demand. 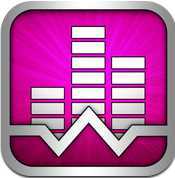 The app is FREE and is available for download from iTunes App World. The app is compatible with iPhone, iPad, and iPod Touch devices. 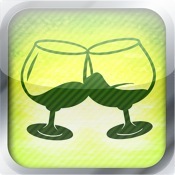 With the benefit of image recognition technology, the Snooth Wine Pro app allows you to scan wine labels to learn more about a particular wine, compare prices, locate stores, read and share reviews, and view comparable products. According to a recent review on the Mashable blog, more than 820,000 wines of the 1.2 million wines cataloged on Snooth's site are searchable via the Snooth Wine Pro app. The Pro version of the app is available for download for $4.99 from the iTunes App Store for use on iPhone, iPod Touch, and iPad devices. A "lite" version of the app is also available in the iTunes App Store for FREE, but users should note that the free version is ad-supported. 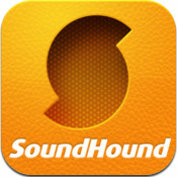 The SoundHound app is described as the "world's fastest music recognition" app. SoundHound will identify music playing from speakers within four seconds, can identify songs from humming or singing, and lets you search artists or song titles by voice. The FREE version of SoundHound provides five free song recognitions, unlimited voice and text searches, unlimited lyrics, and rich iPod integration. The FREE version of SoundHound may be downloaded from the iTunes App Store for use on iPod, iPod Touch, and iPad devices, and from Google Play for use on Android devices. A premium version of SoundHound, which provides unlimited song recognitions, is available for purchase as well for $6.99 from the iTunes App Store and for $4.99 from Google Play. The Curb app is described as the first online taxi booking service that is directly integrated with taxi dispatch systems, so no phone call is needed. The app will help you: find taxis based on your location; book a taxi; track the arrival of your taxi; charge the fare to your credit card; and expense the trip with an e-receipt (the latter two services will require payment of a $1.50 service fee). The booking feature currently is available for 25 major U.S. cities. The app may be downloaded for FREE from the iTunes App Store for use on iPhone, iPod Touch, and iPad devices; from Google Play for Android devices; from Blackberry App World for use on Blackberry devices; and from the Taxi Magic website for Palm devices. 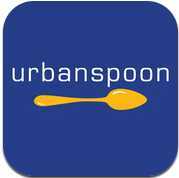 The Urbanspoon app is a fun app that will help you find a place to eat! You can either use the Scope feature to see nearby restaurants or the Urbanspoon Slot Machine to find a restaurant randomly. Urbanspoon also shows ratings and reviews from newspapers, bloggers, and fellow diners. The app is FREE and may be downloaded from the iTunes App Store, Blackberry App World, and Google Play. White Noise Lite is music to the ears of the stressed...literally! The FREE app features loops of white noise, while the upgraded versions (White Noise, White Noise Life, and White Noise Storm, all available for $1.99 to $2.99 per app) feature ambient loops of thunderstorms, waves on a beach, crickets, and so forth, to aid in relaxation. Timer options allow fading audio at set intervals when the app is used to assist the user in falling asleep. The app has been recommended by CNET, PC World, and MSNBC. The Lite version of the app is available for FREE for download from the iTunes App Store, Blackberry App World, or Google Play. 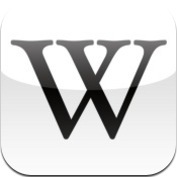 The Wikipedia Mobile app is the official mobile application for Wikipedia. The app provides access to the content of Wikipedia and includes maps and bookmarks. The app is FREE and isavailable for download from the iTunes App Store and from Google Play. 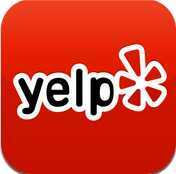 The Yelp app is a great app that will help you find restaurants, retail stores, and entertainment spots in the U.S. Locations are accompanied by reviews from Yelp community members. Owners of 3GS devices will have the additional augmented reality feture, Yelp Monocle, which will overlay business information onto the world around you. 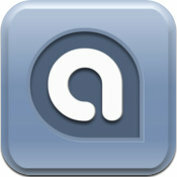 The app is FREE and is available for download in the iTunes App Store, Blackberry App World, or Google Play. The Zinio Magazine Newsstand & Reader is a reader that provides an attractive way to read popular magazines on your device. Zinio delivers full-color images in high definition for thousands of magazines, such as Rolling Stone, BusinessWeek, The Economist, Dwell, Harper’s Bazaar, Macworld, National Geographic, and more. When you download the app, Zinio provides a free preview of the Rolling Stone's 500 Greatest Songs of All Time special issue, as well as a selection of free samples of popular magazines. When you create an account with Zinio, you also get sample issues of VIVmag, SportingNews Today, Macworld, and National Geographic, as well as the ability to purchase subscriptions of magazines to be delivered to your device. The app is FREE and may downloaded from the iTunes App Store for use on iOS devices and from Google Play for Droid devices.